Jaqulene was a beautiful bride, and Alex a handsome groom, for their wonderful wedding day on Saturday, May 30, 2015. Family and friends traveled near and far to join in the celebration with Jaqulene and Alex as they were married on the grounds of their beautiful home. Thank you for allowing me to be a part of your special day, and congratulations as you start your lives together as husband and wife. Kelby and Nicole's wedding day turned into a rainy one, but the clouds opened up and the sun peaked through just long enough for Kelby and Nicole to say their vows and seal it with a kiss! Nicole's sister surprised her and arrived in Boise, along with their parents, brothers and nephew for an absolutely beautiful ceremony on the foot bridge over the Boise River near Park Center. Kelby and Nicole, I wish you only the best and a lifetime of love and rainbows! 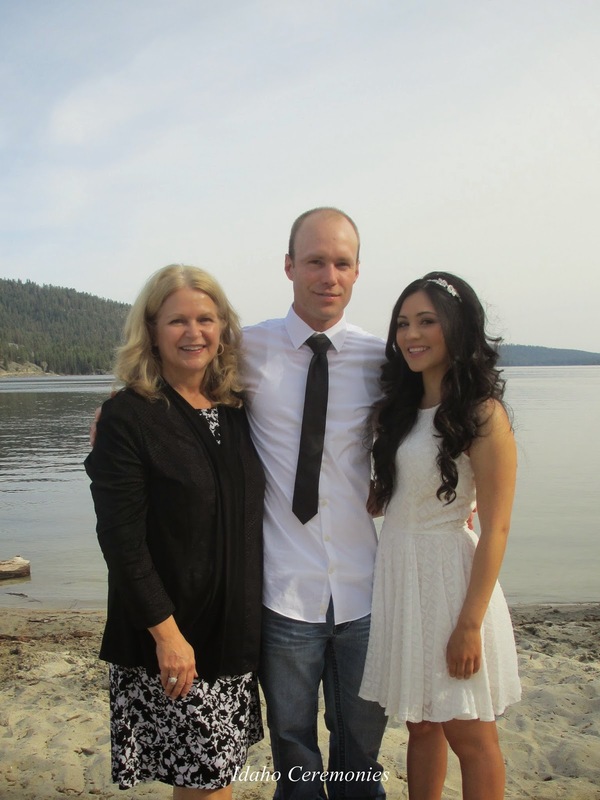 Tyrel and Alexis were married on the sands of North Beach in McCall, Idaho on May 10, 2015. Their friend Karee joined them for a Payette lake side late afternoon ceremony. Congratulations to Tyrel and Alexis! B & K | Beau and Kayla Are Married! Kayla Stephanie married the man of her dreams, Beau Backman, on a gorgeous Saturday afternoon at the Water's Edge Event Center on May 9, 2015. Kayla and Beau wrote their own heartfelt wedding vows to one another, straight from their hearts. Thee ceremony and reception were filled with family and friends they've shared for a lifetime. Congratulations Beau and Kayla, and wishing you many happy years together!